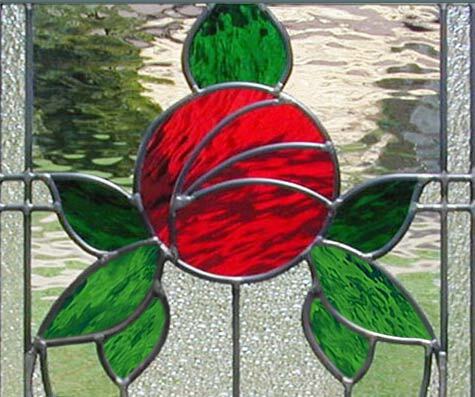 "VICTROSEP" VICTORIAN STYLE LEADED STAINED GLASS RED ROSE WINDOW CUSTOM AT GLASS BY DESIGN. 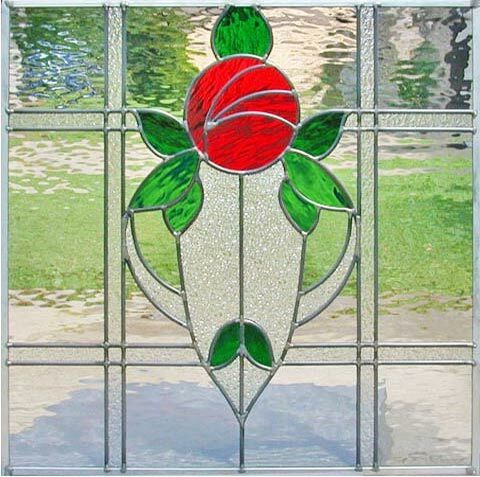 Victorian style rose stained and leaded glass window was 24" x 24". For more privacy, the background could be a soft color or heavier texture rather than clear Waterglass. You might prefer your rose to be a different color. The background glass can be easily resized for different sizing.